Those of you who remember Chesapeake Wine Company, will remember it for the neighborhood fixture that it was when Debbie + Mitchell owned it. As one of our original #urpcouples, their wedding reception at the CWC store itself speaks to the charm and vitality that exuded from it! Fast forward 5 years to their newest labor of love, Remington Wine Company, adjacent to R House. 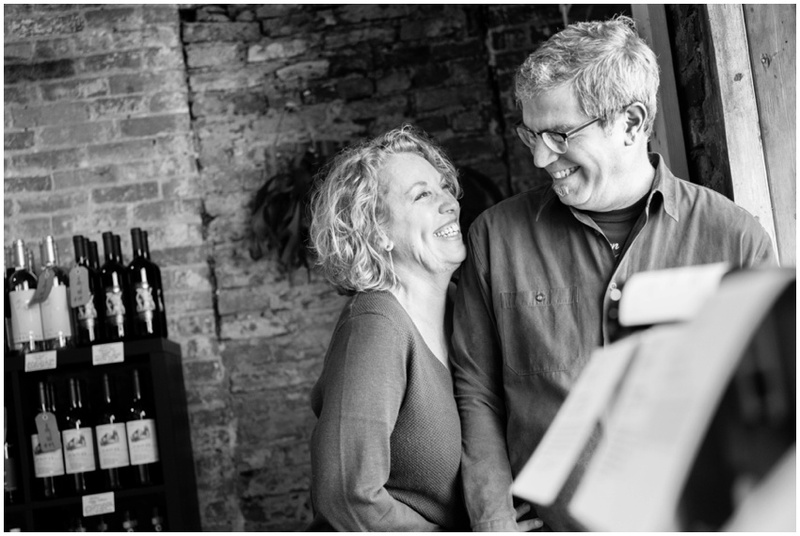 After investing so much of their blood, sweat and tears into renovating this space to be the inviting local wine shop that it is, it was the obvious choice for an anniversary photoshoot! Mitchell's passion for wine and knowledge of the process, industry and small-business ownership is invigorating. Debbie's love for supporting local food talent, understanding well-designed spaces and establishing an inviting yet unique sensibility to their new Remington store, has created the perfect blend. 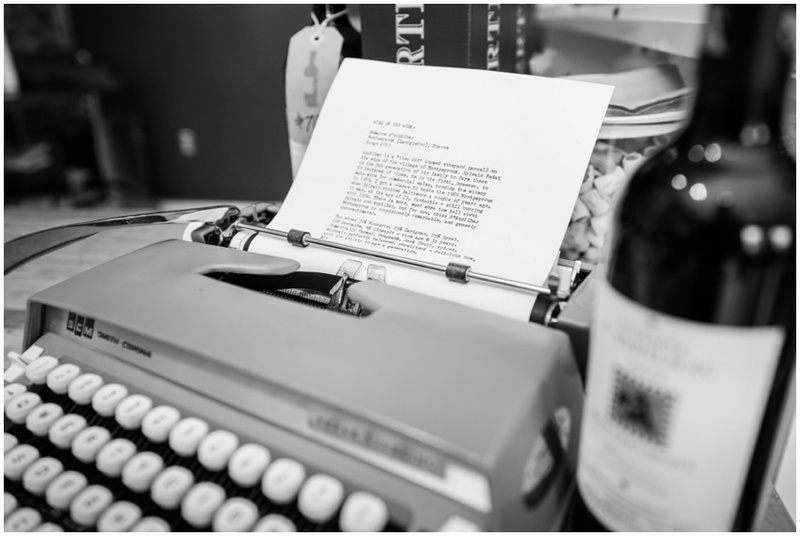 Mitchell types up tasting notes and relevant information on this working typewriter every week for the featured wine of the week - how fun is that?! I'm obsessed with the light fixtures they acquired from Trohv; they're made from old school lockers! Flowers by Local Color Flowers (with new bouquets delivered weekly for purchase, every Thursday)! I just love the way they laugh and compliment every aspect of each other. Here's to raising a glass of bubbly to celebrate such a special anniversary this year... the knowledge you have (and creatively share) of an exceptional bottle of wine and the passion you have for each other is palpable. I can't express how honored we feel to not only have had the opportunity to capture your wedding day, but to have been a trusted advisor in the design of your new store and now a close friend who spent the morning capturing such joie-de-vivre and inspirational love. We can't wait to see RWC become an integral part of the Remington fabric!